For the family of a young child with ASD holidays and weekends can be a mixed blessing. On the one hand it can be seen as a more relaxed time without having to attend early intervention, kinder and child care sessions. 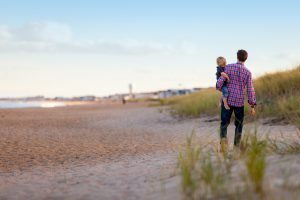 On the other hand, this possibly means less routine and structure and may create an anxious or stressful situation for the child and the family. Weekends and holidays can be considered as a transition time from the structured sessions that your young child has experienced during the week, to the less or unstructured periods of holidays and weekends. Unstructured or ‘down time’ periods can be a challenge for some young children and their families. Your child with ASD may become bored and if unable to occupy themselves could become more demanding of your or their siblings time. This becomes a test of your patience and that of your family’s. It is worth considering a balance between structured play activities and free play activities to help with the holidays and weekends, but also in support of the transition back to the more structured routine of the week after the conclusion of the break. If your child has been exposed to the use of a visual schedule continue to use this to assist you. If this has not been a part of their routine you may wish to consider creating a visual schedule at home, as it is never too early to start using this valuable tool! A visual schedule will prepare your child in advance for what is going to happen in the next half hour or for the days events. You know your child well so you are the best person to work out how many activities your child will be able to manage with a balance of structured and down time activities. Holidays and weekends are generally more relaxed times but it is important to keep routines in place such as bedtimes, as consistency is what young children with ASD need to manage their levels of anxiety and to avoid any meltdowns. If the holiday period has a special celebratory time attached to it, take advantage of this to expose your child to a different environment, sensory and communication experiences. Remember to use the schedule to pre-empt any difficulties and use the checklist for community access to assist with this. Use daily occurring activities in your home to involve your child. For example helping you to make a cake can assist your child with fine motor skills:- pouring the water, stirring the mixture use communication and attention skills:- first the flour and then the water. Think about the upcoming weekends and holidays, organise the family and daily activities and have fun while you are doing it!